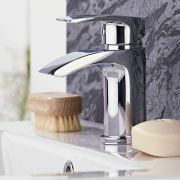 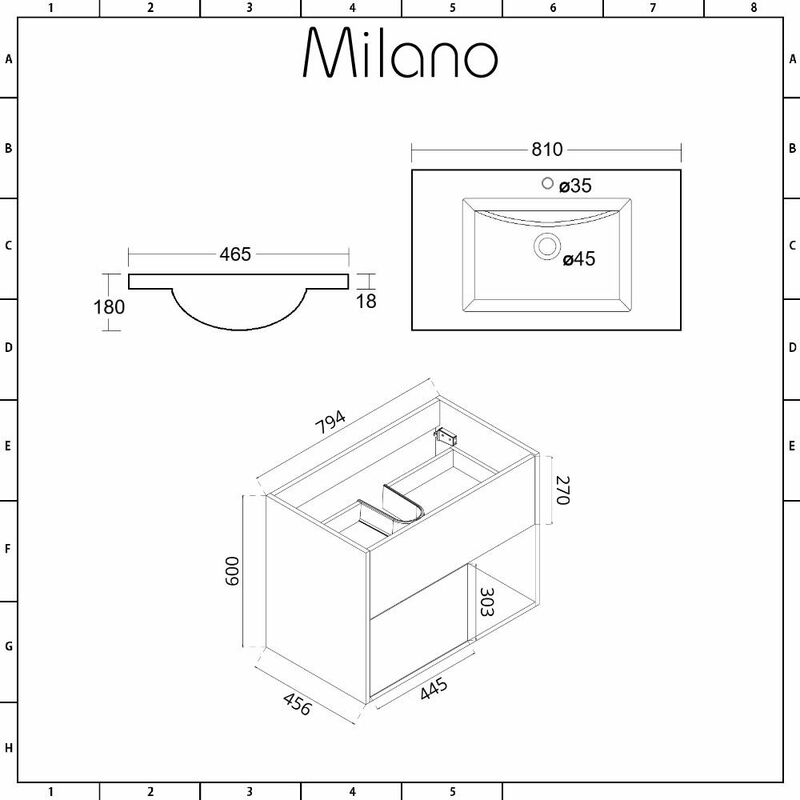 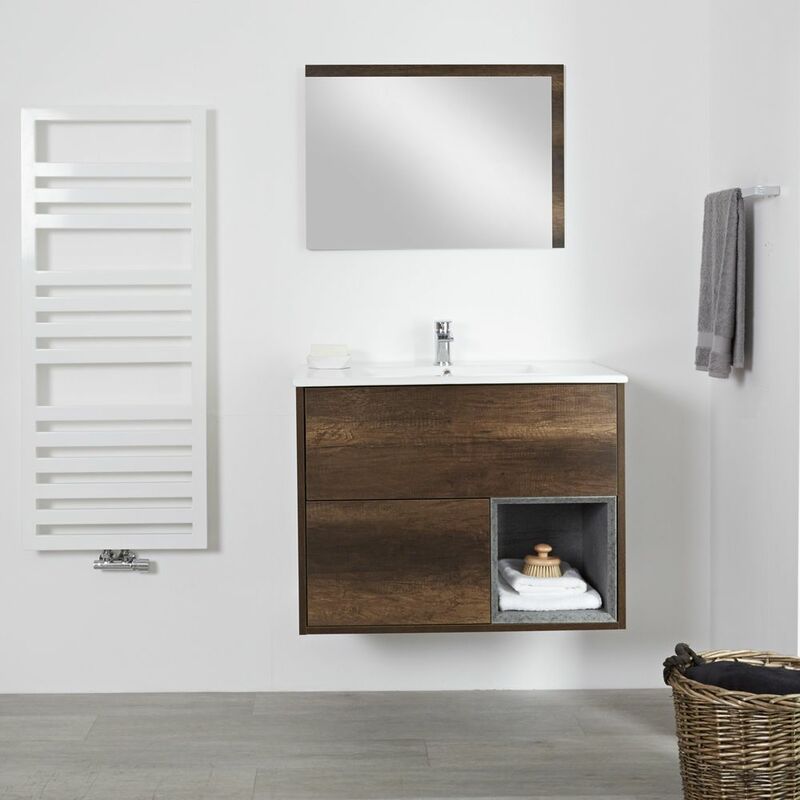 Create a modern and stylish look in your bathroom with the wall-mounted Milano Bexley 800mm vanity unit and basin. 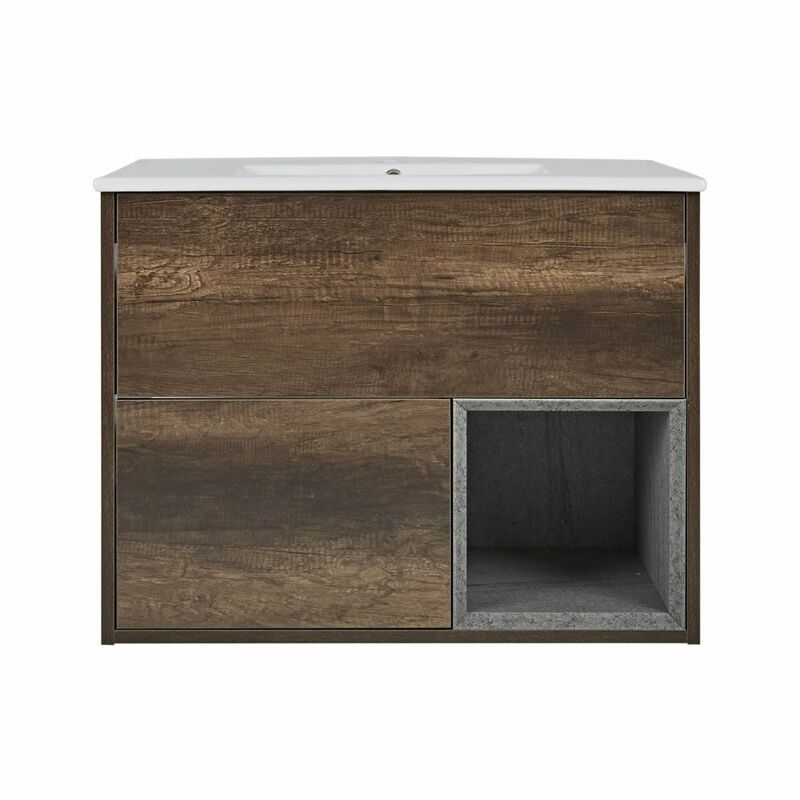 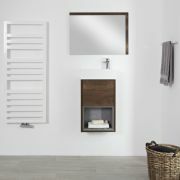 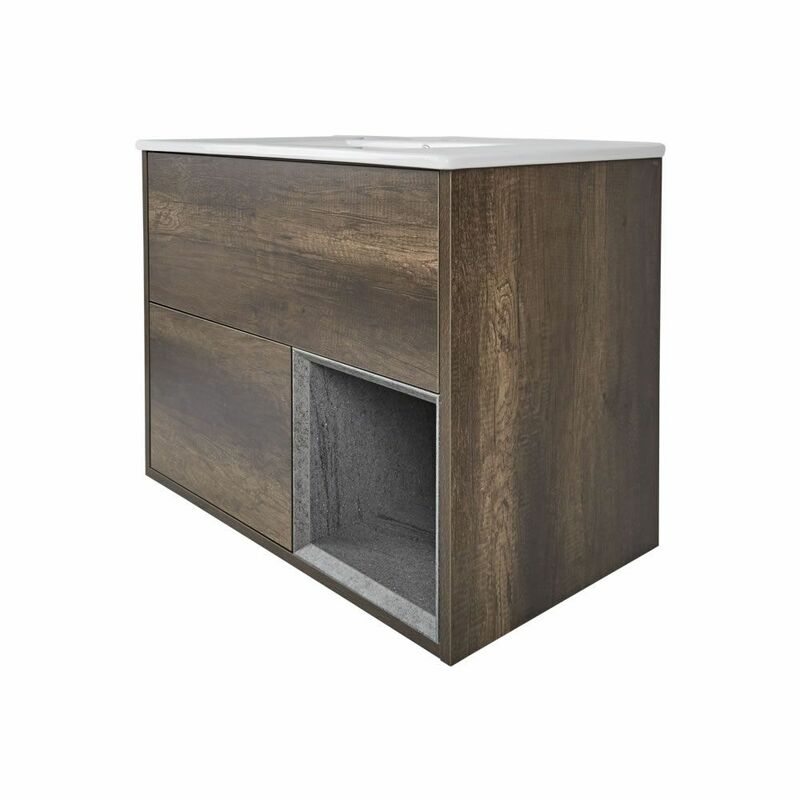 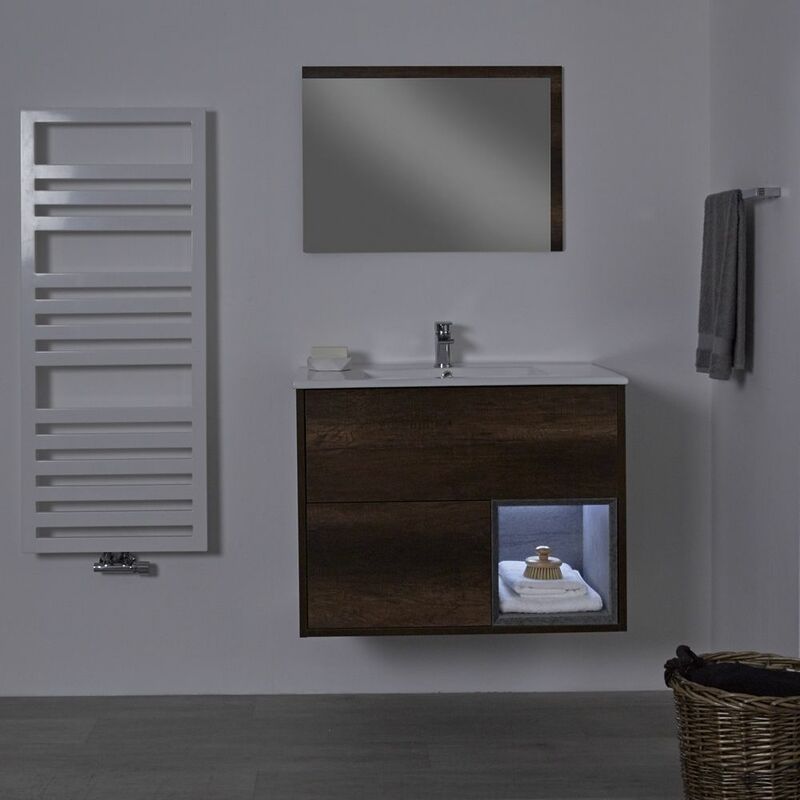 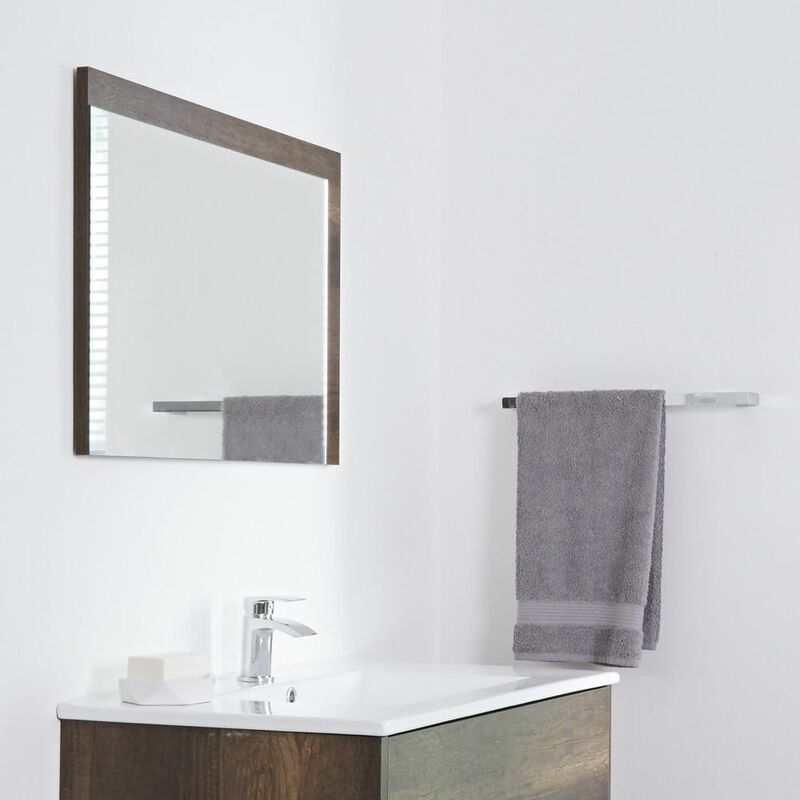 Benefitting from a moisture resistant engineered wood construction for long-lasting durability and an attractive dark oak woodgrain finish, the Bexley vanity unit offers a smart and practical storage solution for your bathroom. 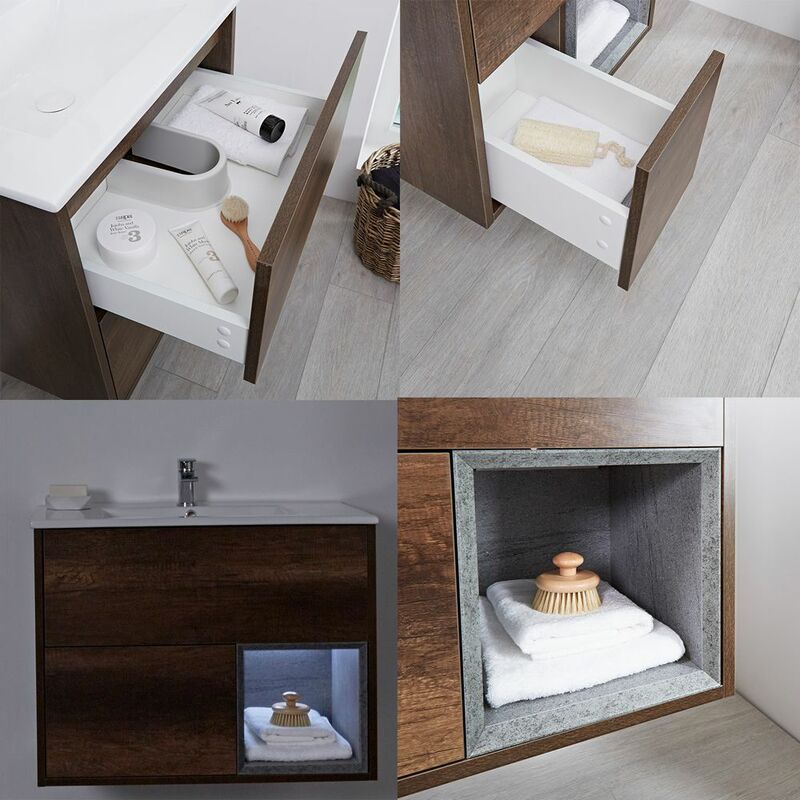 Featuring two push to open soft close drawers and an open shelf, you will have plenty of room to store your toiletries. 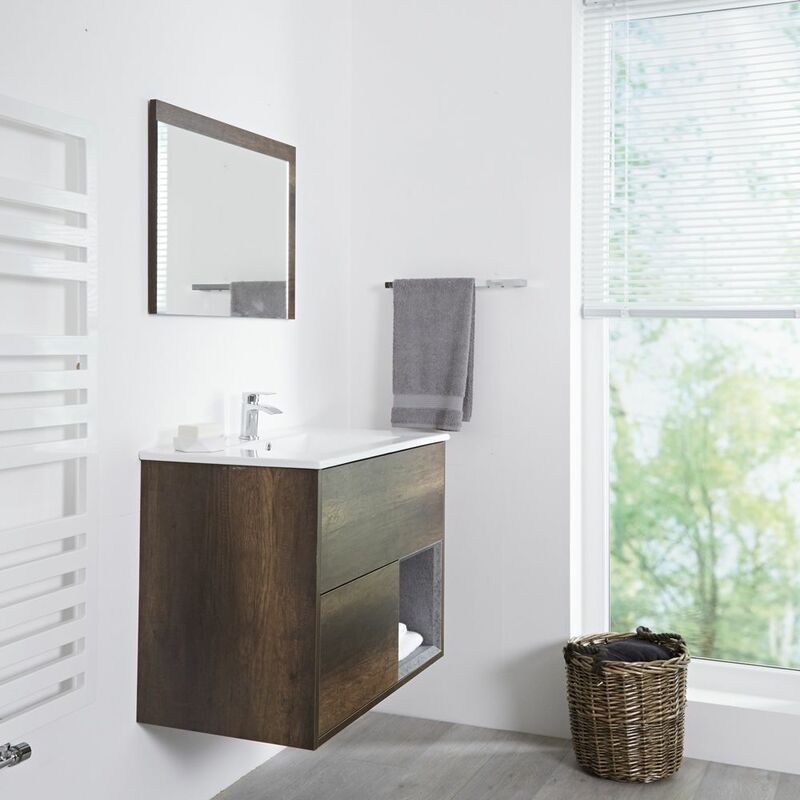 The Bexley vanity unit includes an attractive high quality ceramic basin with an easy to clean white glaze finish and a single tap-hole, leaving you with the final decision of which mono tap to choose from our range.